From climate change to Pacific garbage patch, there is a myriad of problems which threaten our continued existence on Earth. However, framing issues this way is rather shortsighted, as it leaves out a key fact – we aren’t the only beings who call this place home. Many species have been killed off by choices we have made over the ages. Remember the Dodo? Found on Mauritius, it was a flightless bird which had no predators until we arrived on the scene. From 1598, it took less than 100 years for them to be completely wiped out. Turns out a bird which can barely move has a hard time defending itself – who knew? Most natural phenomena have nothing on the destruction we have brought against the other inhabitants of this planet over the ages. Below, we’ll profile five of the most endangered animals on earth which desperately need our help. Felines have had a long history of defying the odds, which is kinda easy when you start out with nine lives (seriously, though – these animals are some of the most adaptable creatures on Earth). Only one species has gone extinct (Smilodon populator) in the past 10,000 years, making the current predicament of the Iberian Lynx all the more tragic. They once prowled the grasslands of Spain, Portugal, and France with impunity, but a massive reduction in their native habitat and regional rabbit populations dropped their numbers as low as 100 by the time the year 2000 came along. 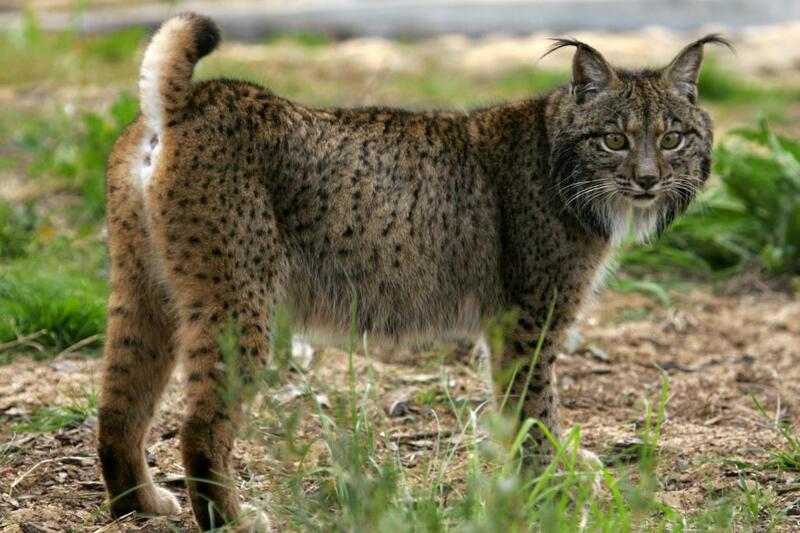 However, concentrated efforts to protect and regenerate remaining populations have borne fruit, as the number of Iberian Lynx had increased to 326 by 2012. This was made possible by the creation of parks which now protect the habitats where they live, and by the re-introduction of rabbits, replenishing their main source of nutrition. They may not be the most photogenic creatures, but the ferocious killing power of the crocodile certainly deserves our respect. This apex predator can be found in warm weather climates around the world – Africa, Australia, tropical parts of the Americas, and Asia all have populations of this resilient reptile. 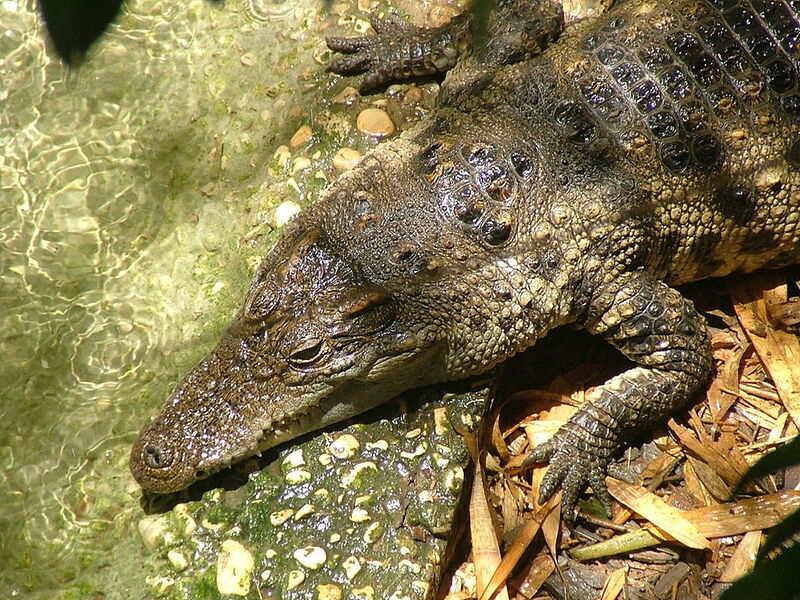 However, the rapid development of intensive agriculture in Southeast Asia have pushed wild populations of the Siamese Crocodile to the edge of extinction. Wiped out from 99% of their original range, there are only several hundred wild animals left, scattered in pockets across five countries. Thailand’s wild population (for which the species in named) is faring the worst, as only two wild crocodiles remain in its waterways according to one survey. Killed off by effluent created by the widespread use of pesticides and chemical fertilizers, most visitors to the region will only ever see a Siamese Crocodile in captivity, as over 700,000 have been raised on farms for food and amusement purposes. Conservationists are attempting to preserve and expand Siamese Crocodile habitats in places like the Cardamom Mountains of Cambodia, but challenges like the proposed construction of a dam on the Areng River threatens the long-term survival of this endangered reptile. Monkeys are playful and mischievous creatures, yet our lust for farmland and lumber is pushing many of our primate cousins to the verge of the abyss. The subject of relentless poaching and bush meat hunting over the decades, the Brown Spider Monkey finds itself in this predicament as we speak. Extensive logging and clearing of land for agriculture have played the biggest role in their decline. They prefer to live amidst uninterrupted forest canopies, as these ecosystems contain the fruits which make up 80% of their diet. 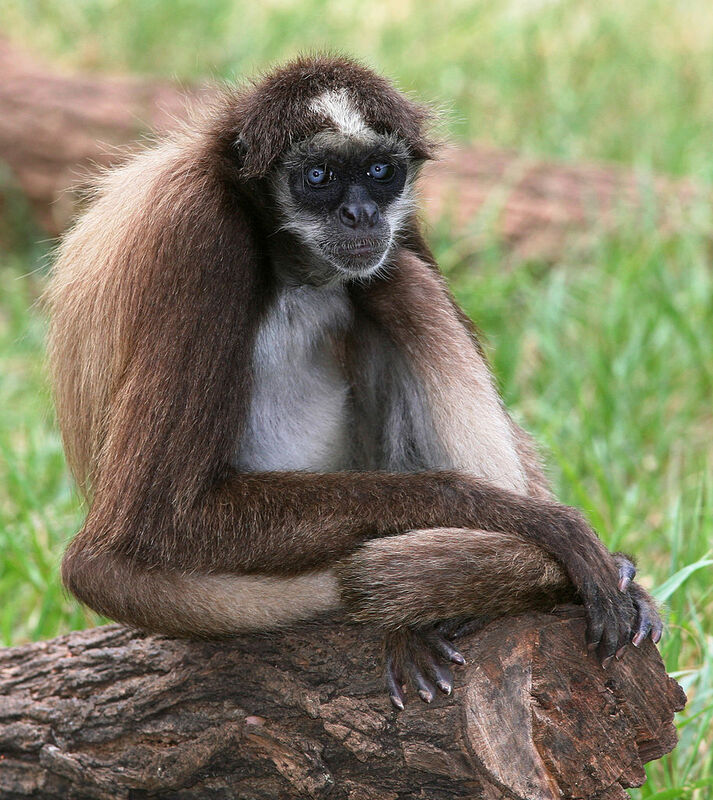 Only virgin stands of forest have the canopy necessary for a viable Brown Spider Monkey habitat. 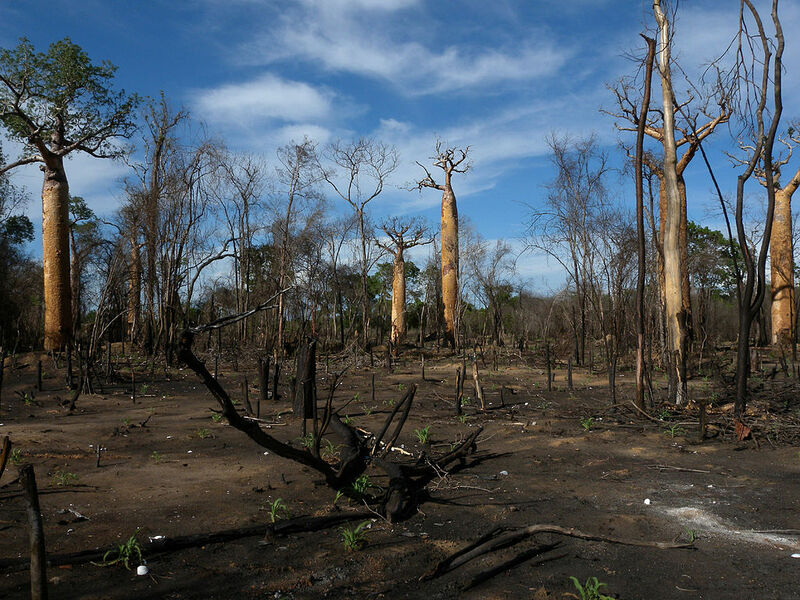 Sadly, these woodlands have disappeared with frightening speed from Colombia and Venezuela in recent decades, as loggers and ranchers have moved in. With only 60 of these gangly primates remaining, measures to curb deforestation may be the only way to preserve what is left of the Brown Spider Monkey in South America. For a while, things were looking up for the Northern White Rhinoceros. Hunted to the edge of extinction in the 1980s, their numbers had increased from 15 to 32 in 2003. However, a steep rise in the price of rhino horns, which are prized in Asia, reversed that progress. With prices nearing $50,000 per kilogram, poachers attacked these rare mammals with a renewed fervor. By the 2010s, they were extinct in the wild. Today, three creatures are all that remains of this once proud species. Kept at a facility in Kenya under 24/7 armed guard, attempts by conservationists to get the last male to breed with the two remaining females have not been successful. 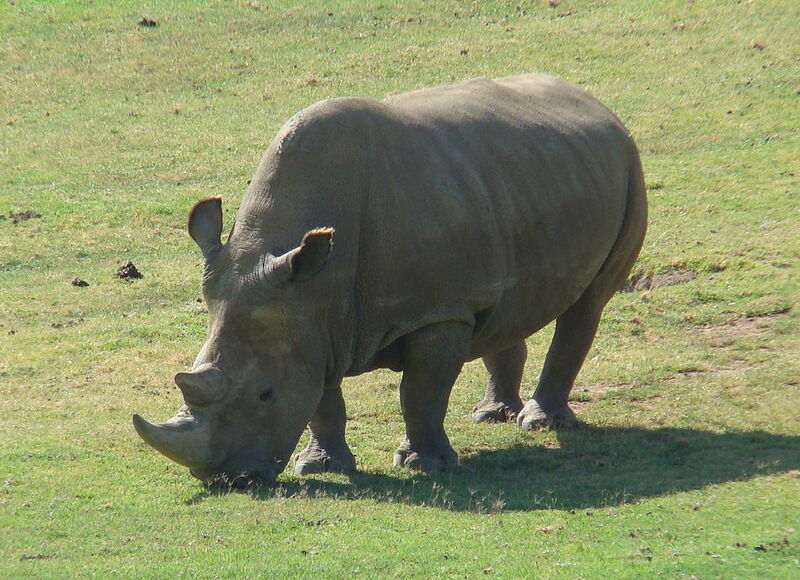 Research is currently being performed to see if their stem cells can be used to produce new rhinos in the future. For now, however, it appears the Northern White Rhinoceros has an irreversible date with oblivion in the near future. Everybody love dolphins, right? If that’s the case, then the Baiji Dolphin, or Chinese River Dolphin, would like to have a word with you before they cease to exist. 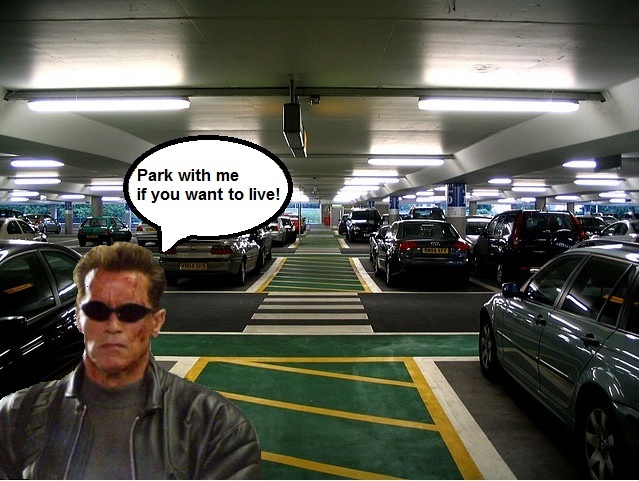 That is, if they haven’t already. With only a handful of these playful animals left at best, they are the most endangered species on Earth. Living in the waters of the Yangtze River, this freshwater species is considered by experts to be functionally extinct, as they lack the genetic diversity to create viable offspring. Their troubles began with the construction of the Three Gorges Dam in the 1960s, which reduced the flow of water in the river and cordoned off a large part of their traditional habitat. As China’s population exploded along the banks of the Yangtze in the latter half of the 20th century, increased pollution, and boat traffic further increased stress on this species. If that wasn’t bad enough, it was also hunted for food during China’s Cultural Revolution, steepening its decline during the 60s and 70s. 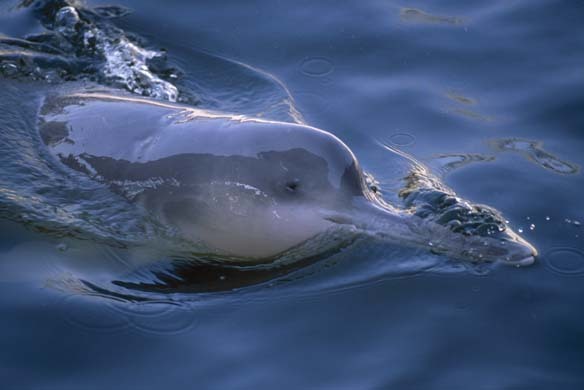 With the last sighting of this mammal taking place in 2007, it is possible that the Baiji Dolphin may already be extinct. Things may look bleak, especially considering the prognosis for the final two species on our list. However, many can be saved if we decide to act now. By taking action on climate change, deforestation, pollution, poaching, and other environmental issues, we can remove stressors which are leading these innocent animals down the road of no return. We can also choose to donate money to conservation organizations such as the World Wildlife Fund, the Sierra Club, and the Nature Conservancy, among others. These non-profit concerns use donor funds to fuel projects which have promoted the recovery of species like the African Savannah Elephant, the Gray Whale, and the Black Rhinoceros, some of the most endangered animals on earth. While any effort may seem like a drop in the bucket, together, we can save species that didn’t do anything to deserve the problems they now face. Photos courtesy the following authors (from top to bottom): Frank Vassen on Flickr, lynxexsitu.es, SuperJew on Wikimedia Commons, Tomfriedel and Fir0002 on Wikimedia Commons, Public Domain, Public Domain. Screw the Zoo, Go to Africa! Beautiful pictures of these endangered species, particularly the spider monkey and the lynx. Smilodon populator is supposed to the robustly built felid but still became extinct. They became extinct at a similar time to when megafauna died out. 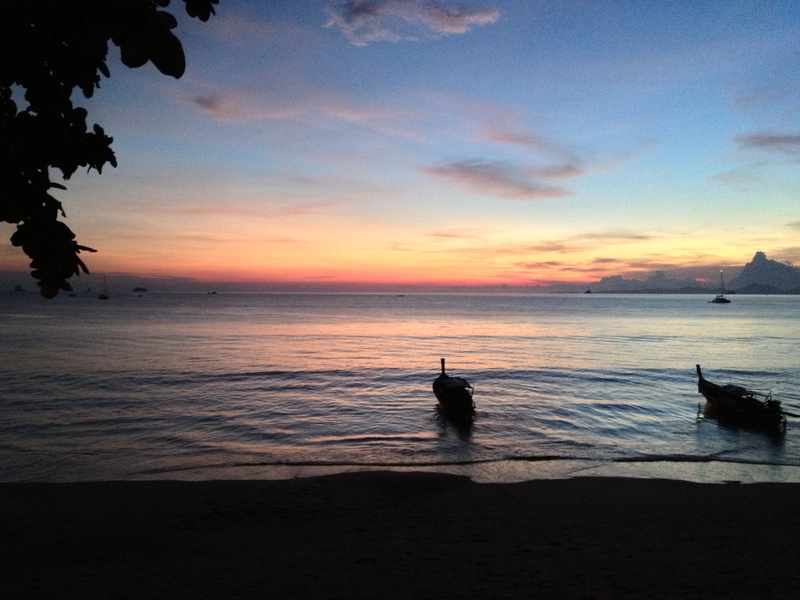 Leo Tat recently posted..Ketosis vs. Ketoacidosis (DKA): What Is the Difference?